In 2014, LORDSTEEL build new business division-Titanium Business Division to serve for overseas and domestic market superior requirements for Titanium Products, We are aiming to supply worldwide customers with world first class quality Titanium products. 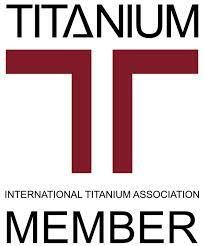 On 23th April,2014, LORDSTEEL become one of the official members of International Titanium Association (ITA), membership based international trade association dedicated to the titanium metal industry since 1984. “Actually It is not the first time for LORDSTEEL to involve in the Titanium industry, Since2002, LSI has already supplied ASME SB338 Ti Gr.2 Titanium Tubes for one of the famous Power stations for their Condenser Projects here with some other alloy materials products, LORDSTEEL’s professional in tube solution and good attitude help them to earn the reputation from worldwide customers and end users” Said Daniel, one of LORDSTEEL’s project manager. Looking to the future, LORDSTEEL is confident to be one of the leading companies in tube&pipe solution in Titanium tube,Titanium Ingot and other Titanium products with our Ti experience and knowledge here.